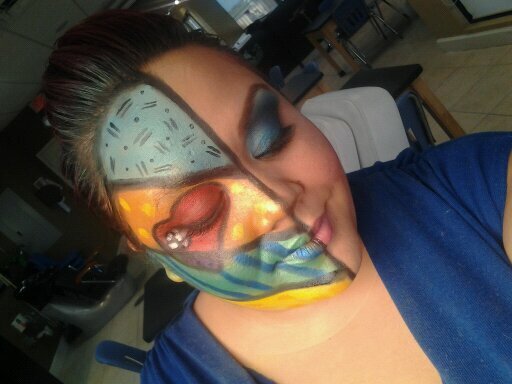 When you work in cosmetics, you are called an artist…a makeup artist. Art is a form of expression. Artists often do their greatest work when they draw from within. 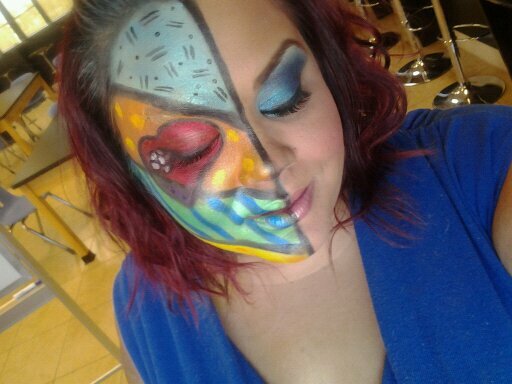 To be a good makeup artist, I believe you need to like art. Whether it’s natural art (trees, flowers, sky) or paintings or just colors, you just love art. 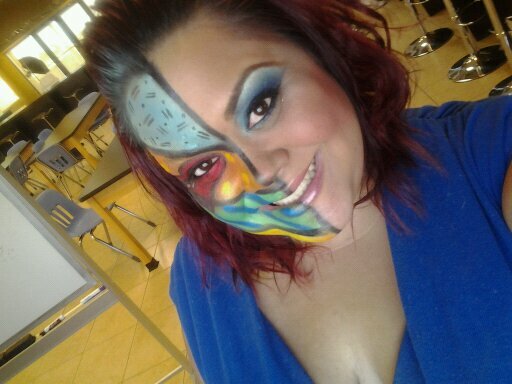 This past weekend, I went to the MAKE UP FOR EVER Pro Road Show….. WOW what amazing artists! They inspired me to get inspiration from art! Whenever you drive around South Florida, you will see the work of an amazing artist named Romero Britto. Today, my inspiration comes directly from him. His fun, childlike art and colors just scream “look at me! 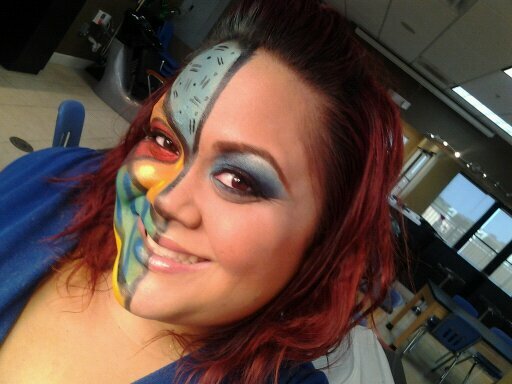 I’m FUN!” and that’s exactly what I wanted to say with this makeup. Also…to honor his idea of colors and shapes. He’s brilliant! I love how there’s different shapes, lines, dots, and color. 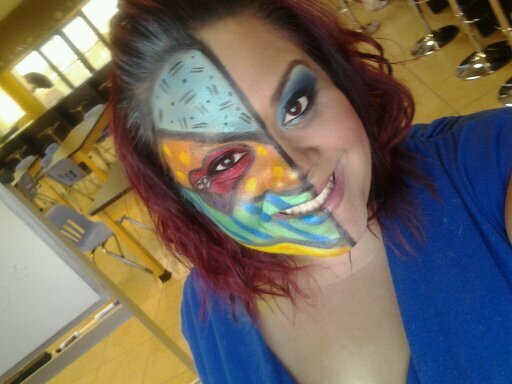 I had a great time doing this makeup and I hope you liked it as well! Until the next time Beauty Addicts…. Let your creativity shine! BREAKING NEWS: Ken Gets Caught Cheating!